A strategy game for 2 players with a variant for 3 or 4 by Néstor Romeral Andrés. Naja is a genus of venomous snakes known as cobras, and in ancient Egypt they indicated sovereignty, royalty, and even divinity. The gods themselves are depicted crowned with a naja. The scarab rolls the sun around to rise each day, and thus ensures renewal and prosperity. 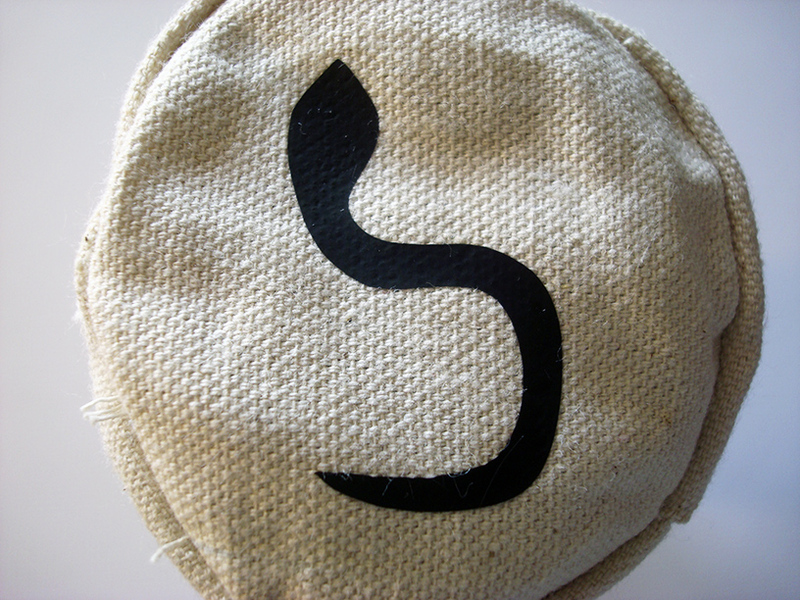 As royalty, veritable deities, you send your naja s to lay claim to scarabs, ensuring new life for your lineage. 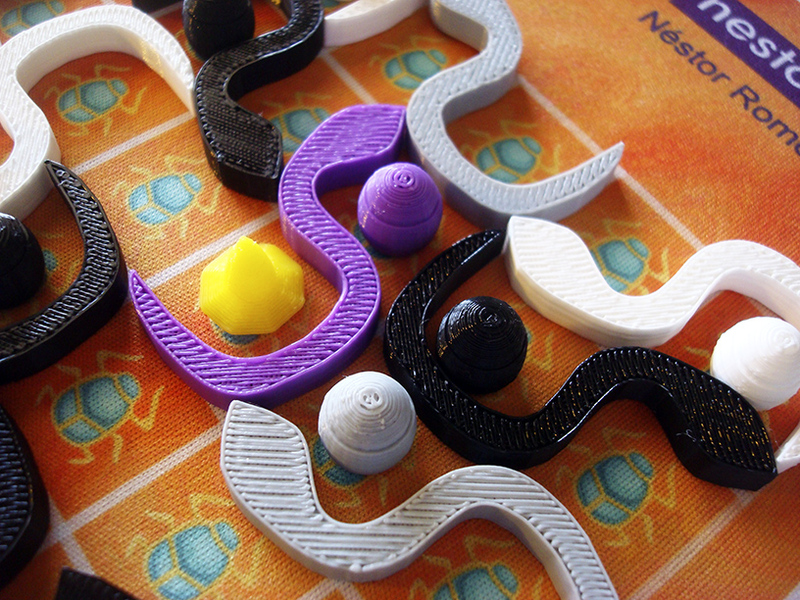 In the game Naja, players take turns placing cobras on the board trying to surround as many scarabs as possible. But try not to claim bonfires, lest they harm your najas and weaken your reign! 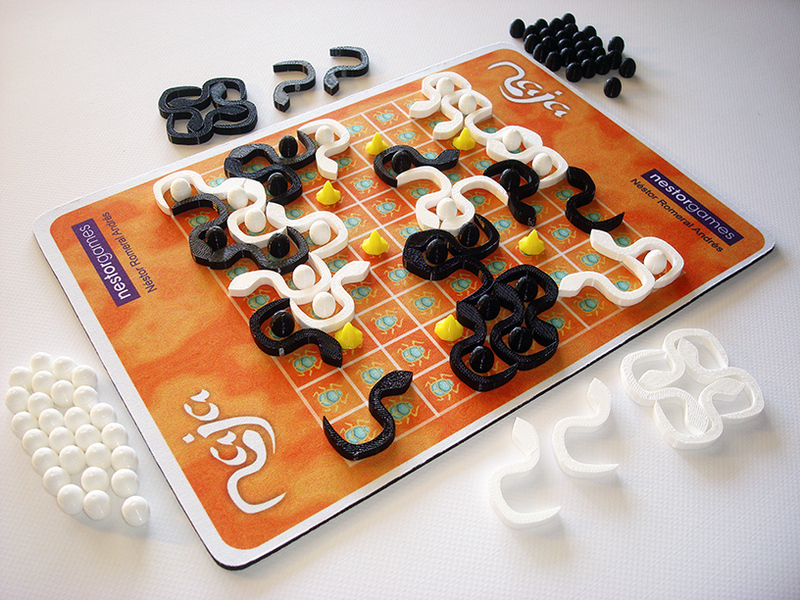 Base game (2 players): 9x9 board with a scarab on each cell, 20 white najas (snakes), 20 black najas (snakes), 7 bonfires, 40 black baskets, 40 white baskets, carrying case. 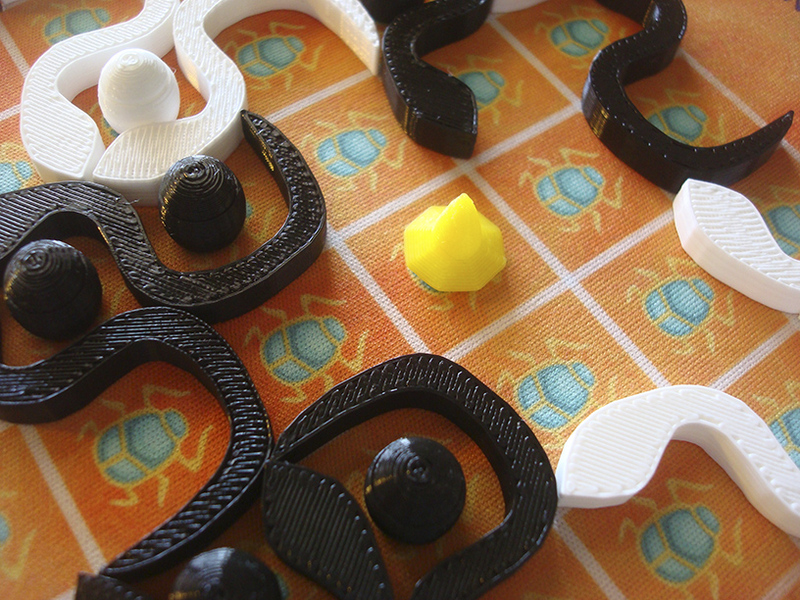 The pieces are 3D-printed. Please notice that 3D-printing pieces at an affordable price makes them far from perfect, but I do my best. Expansion for 3-4 players: 15 grey najas (snakes), 15 purple najas (snakes), 30 grey baskets, 30 purple baskets, cotton case.